Anabaptists are Protestant Christians of the Radical Reformation of 16th century Europe. The followers of these movements think that believers should be baptized; only someone who believes can be validly baptized; the baptism of infants has to be confirmed with what they call believers baptism. The best-known Anabaptists today are the Mennonites, the Amish, and the Hutterites. Dirk Willems saves his pursuer. 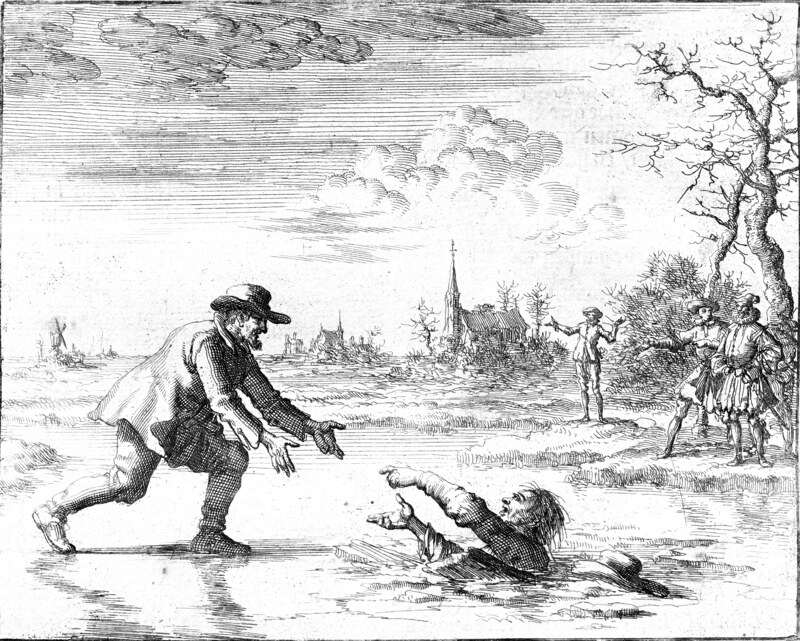 This act of mercy led to his recapture, after which he was burned at the stake. .
Anabaptist Facts for Kids. Kiddle Encyclopedia.